S4GA has recently delivered Portable Helipad Lighting Kit to Korea to help local government in protection national forests from natural disasters and distress. Korea Forest Service is a government-owned company that protects orea’s forest resources from diseases and pests. 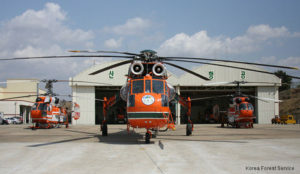 The Company started its operations in 1971 with only 3 small helicopters in its arsenal. The Government concluded that KFS was no longer capable to effectively respond to wildfire, and invested in it’s development. Today KFS is the largest forest aviation service provider in the country operating 46 helicopters. 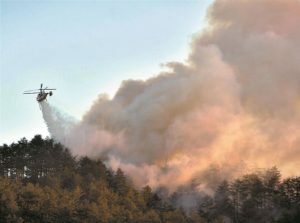 Korea Forest Service is protecting the public and national properties from various natural disasters and accidents, including wildfire, forest diseases and pests, natural disasters and distress. In 2018, the Government decided to acquire additional equipment for KFS helipads that allow the Company to act even faster in a high emergency. Lights are stored in a rigid weather resistant protective case designed for safe transportation and fast deployment of lighting kit. S4GA Portable Helipad Lights are widely used by police, air rescue, and medevac. To find out more, please visit our Helipad Lighting Applications page.